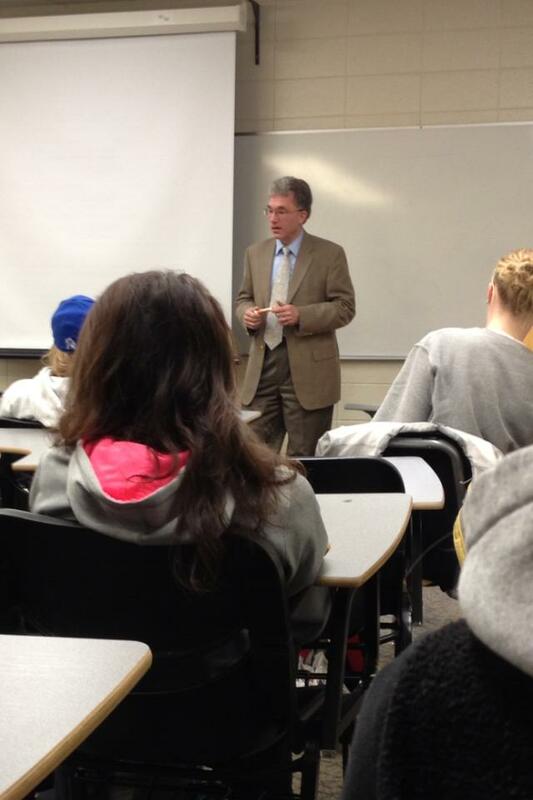 On March 12, 2013, PRSSA held a workshop for it’s members with a special guest from The Pocono Record, Christopher Mele. Mr. Mele is the Executive Editor for The Pocono Record. He is from the Bronx and previously had worked for The Times Herald Record. He related how the news and PR collaborates together. He left us with a lot of advice. He said that the most important piece of advice for working in PR is to figure out who your audience is (concerning the media) because they are our “megaphones”. He emphasized that we need to be aware of that there is no such thing as “one-size-fits-all” for media clients. Also, what makes sense geographically can be very important when working with the media. He taught us the importance of being on time and updating our media client on our progress. Mr. Mele ended the workshop by giving out his business cards to members interested in freelancing for The Pocono Record on articles about student life. Our own member, Valentina Caval, Editor of The Stroud Courier, entered an article, which was published, thanks to our workshop with Mr. Mele.